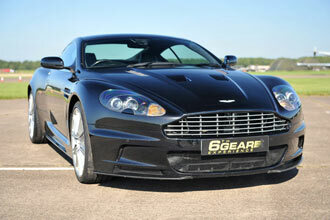 From one of the most famous British supercar manufacturers comes their latest creation, the Aston Martin DBS. 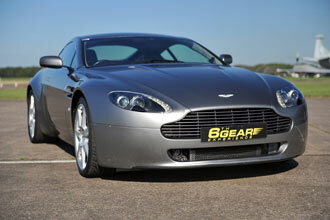 It's similar to the DB9 in looks but that's where the similarities end. The 6.0 litre V12 engine produces 510bhp which hammers the car from 0-60mph in 4.3 seconds and on to a maximum speed of 191mph - it's no wonder James Bond drives one. This is your chance to ride shotgun in this magnificent machine! Your experience will begin with a welcome, introduction and safety briefing then it's time for the ride of your life. Watch in amazement at the concentration involved as your driver reaches top speeds in a car with so much power. This is an ideal gift idea for anyone who loves to travel in style at speed, you're guaranteed to have a huge grin on your face by the end of your session. This experience is available on selected Monday to Sunday dates, from March to November. You will get one lap in the car. You are welcome to bring family and friends to watch. Children under 12 will need accompanying by an adult at all times. The minimum age is 12 years old, under 18s must be accompanied by an adult. The minimum height is 1.52m (5ft) and the maximum height is 1.98m (6ft 5"). The maximum weight is 121kg (19st). Anyone seen to be under the influence of drugs or alcohol will not be permitted to the venue.